Buyers Guide: New or Used Car? Browse: Home » News » Buyers Guide: New or Used Car? Singapore is one of the most expensive city to own a car. Unlike owning a house, a car value depreciates from the moment you drive out of the showroom. Since buying a brand-new car is expensive in Singapore, many people have opted for the “cheaper” alternative, i.e. to buy a used car. Surely, a used car may have a cheaper price tag but not necessarily worth it. We can’t decide for you which is a better option but if you are wondering whether to buy a new or used car, here are 4 things you might want to consider before you take the plunge. Getting a used car would mean paying significantly lesser amount of down payment as the selling price of a used car is much lower than a brand-new car. 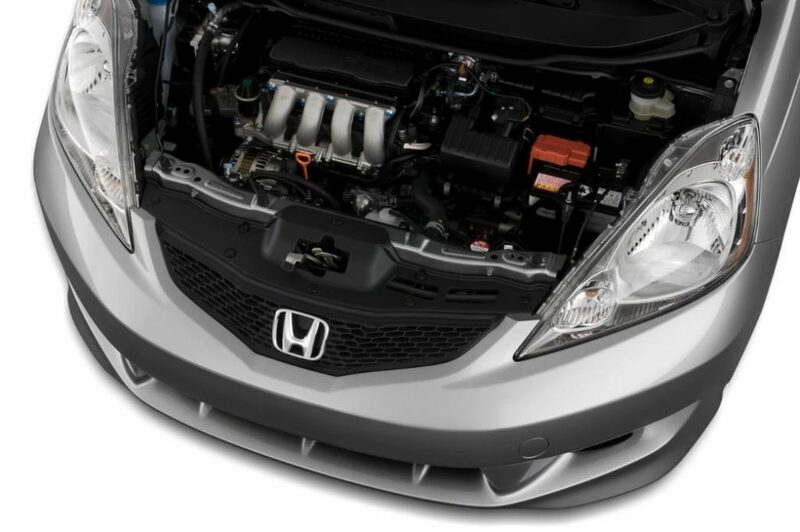 Take for example a November 2011 Honda Fit 1.3. The selling price is about $41,000. While a brand-new Honda Fit is selling at $71,888. 30% down payment for the used car would be $12,300 vs $21,567 for the brand-new car. However, some car dealers can try higher loan for new cars (subject to bank profile check and approval). With higher loan and lower down payment, buying a new car is now more affordable. Check out Cars & Stars’s latest Honda Fit Promotion with only $12,888 down payment. Although the selling price of a used car is a lot cheaper than new cars, the depreciation value of a used car might not be cheaper. Do a quick search on SGCarMart and you might be surprised to find that sometimes the depreciation value of a used car is much higher than that of a new car. Maintenance cost for buying a new car is generally low and you will be sure to have a peace of mind for the next 3-5 years. This is because all the car parts are new and the car is absolutely accident free. On the other hand, wear and tear parts replacement is inevitable for used cars hence maintenance cost will be higher. Also, buying a used car from a trusted dealer is very important. A good car dealer will usually do up the car including paintwork, grooming and wear and tear rectifications which will reduce your maintenance cost. The last thing you want is to buy a car that has its odometer mileage tampered by dishonest car dealers. We strongly suggest you to research around so that you do not fall victim to dishonest car dealers. A brand-new car usually comes with 3-5 years warranty while most used car dealers provide 6 months warranty for used car. Having said that, if you are buying a used car, you are still at risk of buying a “lemon” especially if the number of owner for the vehicle is high. This is because you are unable to track back who are the previous owners and how well they take care of the car. If the car is badly taken care of, you will face a lot of problems when you take over the car. Although there is lemon law to protect customers and most used car dealers provide 6 months warranty for used car, it is always recommended to bring a friend who is experienced with cars along when you shop for used cars. We also suggest that you have the car checked by your trusted mechanics to make sure that the car had not gone through any major accident before you decide to purchase it. Many people opt for used car due to the lower down payment which allow for better cash flow. However, a used car might be more expensive in terms of depreciation compared to purchasing a new car. If you can afford a larger amount of down payment, it might be better to purchase a brand-new car to avoid the potential cost that might incur from purchasing a poorly maintained used car. Besides, what is more enjoyable than driving a brand-new set of wheels right? Head down to Cars & Stars showroom today or call us at 6585 5555 to find out the latest new car promotion.